The agency’s Spafax Profile with Amazon Alexa and Business Traveller TV solutions are nominated in the “Best Use of Artificial Intelligence” and “Best Native/Sponsored Content Program” categories, respectively. London | October 19, 2018– Global content agency Spafax was nominated this week for two B2B Brave Awards, an initiative hosted by global media platform and Europe’s largest marketing website: The Drum. The B2B Brave Awards celebrate excellence in B2B campaigns produced for digital and Out-of-Home as well as strategic initiatives in data, artificial intelligence, PR, social media and more. The awards are judged by a panel who have extensive experience in the B2B industry, including representatives from Stein IAS, LinkedIn, IBM, Momentum Worldwide, Adobe, MRM McCann, Ogilvy and more. A full list of the nominations can be found here. Winners will be announced at the awards ceremony held in New York City on November 15, 2018. The Spafax IQ Data Analytics Platform provides airlines with one view of their passenger engagement across all IFEC systems – an industry first. London, UK | April 9, 2018– Global entertainment and media agency Spafax today announced the launch of Spafax IQ, a service designed to help airlines optimize their investment in entertainment across the passenger journey. As aircraft connectivity rises and advertisers expect quality metrics for targeted campaigns, airlines are grappling with how to leverage the multitude of inflight entertainment and connectivity (IFEC) data they have access to. Spafax is launching Spafax IQ to help solve this challenge for airlines. The new data service provides insights in the following areas including but not limited to: IFEC content performance, passenger engagement with IFEC product, cost per engagement metrics and audience profiling. Making its debut at Aircraft Interiors Expo in Hamburg this month, the Spafax IQ Data Analytics Platform is the first product to give airlines one view of their passenger engagement across all IFEC systems. Additionally, the platform helps airlines enhance the passenger experience through predictive analysis and increase revenue from advertising and brand partnerships. Spafax IQ also provide insights on content performance against airline competitors. The service includes regular analysis and support from a Spafax team of data experts. AIX ’17: Here We Go Again! Here we go again! The next few issues of IFExpress will update you on what we saw at AIX 2017 – and there was a lot. We should note that while we received no show data from the PR/AIX troops, we can tell you it was BIG. Again this year, there was an IFEC Zone that was dedicated to everything inflight entertainment and connectivity related. So here we go! Summary: Dassault Systemes and SIE have teamed to facilitate the development of “License-to-Fly” (LTF), a software development tool that greatly accelerates the design and certification process. As many people know, Dassault Systemes is the provider of the aerospace industry standard 3D engineering tool CATIA, and SIE is the highly-regarded Aircraft Engineering & Certification firm responsible for numerous TC & STC projects. LTF allows engineers, on an ongoing basis, to integrate the design development with the certification requirements thereby speeding up the Aircraft Certification process and reducing the overall cost by as much as 15%. Known within Dassault as “Collaborative Innovation”, there is a continuous feedback loop between the design and the certification database verification that reduces error and rework in the development process. LTF is a software design tool that enhances the standard CATIA 3D design process and aids the design engineer in understanding if their design meets certification – the key here is it tells them when they make the change with the License to Fly software if the design change is compliant with regulations, thus saving time. Historically, designers were forced to develop drawings then check the final product/result against certification standards and by removing the “check” step days are saved in the design development process. The net result is time and labor savings and assurances that redesigns will not be required after drawing submissions. Furthermore, License to Fly permits cost efficiencies to customization. Today everyone is pushing for standards because the process of certifying custom design is so expensive, this product recognizes that customization is key and makes it affordable and efficient while doing so. The Dassault/SIE team makes a lot of sense – Dassault knows the software (CATIA) development side of the equation while the SIE folks are certification experts and the combined product will greatly improve the quality and time to market of the aircraft interiors components/assemblies that they design. Readers, expect to see a lot more written about this “smart” software. “License-to-Fly is quite simply a huge game-changer. LTF is the design/certification tool that moves the historically separate activities of aviation design engineering and subsequent certification work from a serial process to an integrated flow. The result: lower costs, shorter development time, higher quality design packages, and comprehensive compliance to regulations. It’s an enterprise win-win for everybody,” stated John Courtright of SIE. “Alexa, is my Lufthansa flight on time today?” If you think your Amazon Alexa is just for your home and ground-based information – think again. 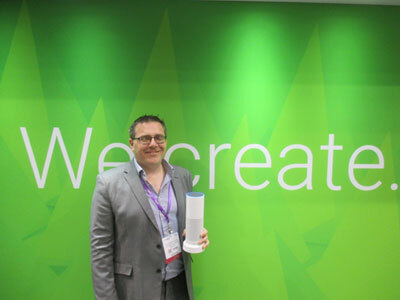 Spafax demonstrated their launch of a new Alexa skill as an IFE industry first – and IFExpress LOVED it! To give you a better idea here is what their press release says: Global content, entertainment and media agency Spafax announced its new Spafax Profile Skill for Alexa, Amazon’s revolutionary voice-activated personal assistant. This fun, interactive service will be the latest addition to Spafax’s successful Profile entertainment personalization platform. Set to debut at the Aircraft Interiors Expo in Hamburg, the Spafax Profile Skill combines Spafax’s proprietary entertainment technology and Amazon’s open APIs to create a dynamic voice-activated personal assistant with complete knowledge of an airline’s entertainment offering. Passengers will be able to ask Alexa about what movies, television shows and music will be available on their upcoming flight, get detailed information about individual programs and more. “The Spafax Profile Skill will further enhance the pre-flight experience, a key point of contact between airlines and their customers,” said Kevin Birchmore, Director Sales, Technical Products & Solutions, Spafax. “We’re always looking for ways to evolve our digital products and the Alexa Skill is very much in line with our vision for passengers to interact with an airline brand across multiple platforms and services.” The Spafax Alexa program is divided into 3 phases. Phase 2 will allow the passenger to view the airline entertainment content pre-flight and create a playlist after login. Phase 3 will sync with the passenger’s personal device at the seat. Presently, the service allows the passenger to view the entertainment content pre-flight and ask specific questions regarding flight status, etc. • Gogo has line fit for the A320, A330 and A380 for 2Ku we believe. • Gogo is using the MODMAN (modem manager) from Kontron. • Live television will be enabled in 3Q/4Q of 2017 and the first customer for the product will be Delta Air Lines. • Presently, Gogo is running a 90 day 2Ku test in conjunction with Lufthansa Systems BoardConnect on Virgin Australia. The test is on a 737-8 and if all goes well it will go on the rest of the fleet. • Currently there are 13 2Ku customers, two of which are Delta Air Lines and American Airlines. • Gogo has recently partnered with SES for more transponder capacity. • The company is targeting 200 installs of 2Ku by yearend 2017 and currently has a backlog of 1500 aircraft. Gogo states their focus right now is on the 2Ku product. • Gogo is focusing moving their services beyond the passenger and now has 50K+ flight attendants connected. Their system also offers real-time credit card validation. Delta Air Lines will have their EFB’s connected via Gogo, as well as, their real-time weather service. The company noted that weather services are a key component of their cloud sourced data. • ATG Next Generation is expected by year-end with a flight test in early 2018. The service will use a new antenna on the aircraft and new ground-based hardware as well. The hardware within the aircraft will mostly be the same but potentially with a new modem. Gogo states that the cost of upgrading to the ATG Next Gen will be relatively low because of this. aircraft – estimated launch is to be by the end of the first quarter 2017. A total of 69 Eurowings aircraft are to be fitted with the systems by the summer of 2017. “Our digital BoardConnect platform is far more than just a pure IFE solution. Airlines can use it to significantly improve their passengers’ digital experience and further personalize their services. It is also part of our company strategy to share our expertise so that our customers can achieve their digital transformation goals,” said Norbert Müller, Senior Vice President BoardConnect at Lufthansa Systems. The core of the digital BoardConnect platform is its open architecture. New technologies have turned BoardConnect into a kind of cloud provider above the clouds. It enables airlines to run their own applications in the aircraft on the basis of BoardConnect. This also applies to applications from an airline’s external partners, and it supports use cases for crews and passengers. The solution makes it easier for passengers to use on-board services as well. They simply have to connect to the on-board WiFi to access all of the connected services via a standardized user interface. The layout can naturally be adapted to the individual corporate design of each airline. BoardConnect 5.0 gives airlines numerous options for integrating new offers and generating additional revenues. The platform is designed for fast and easy technical integration. Connectivity is the future of IFE, because on-board Internet is the prerequisite for real-time communication, streaming live events and additional services from external partners. Connectivity thus remains a focal point at Lufthansa Systems – for airlines both inside and outside of the Lufthansa Group. Among other things, the aviation IT specialist is currently working with its partners Inmarsat and Lufthansa Technik to install broadband Internet on the short- and medium-haul fleets of Lufthansa, Eurowings and Austrian Airlines. Lufthansa Systems and Waves Audio ltd are collaborating to bring a superior and immersive 3D Audio & Surround Sound experience to airline passengers. • Waves Nx is a high-end 3D audio solution that works with any grade of standard stereophonic headphones, offering tremendous sound quality improvements using preexisting hardware. • Waves Nx greatly reduces ear-fatigue, allowing users to listen to audio content over headphones for prolonged periods of time with no discomfort. • Waves Nx enables listening to 5.1 and 7.1 content over regular headphones, bringing an unprecedented cinematic experience to in-flight entertainment systems. Everyone is talking about digitalization. Many companies are wondering how to future-proof themselves in the digital world. Lufthansa Systems turned this vision into reality a long time ago. For years, the aviation IT specialist has been advising and supporting airlines in their digital transformation, demonstrating what sustainable airline processes can look like and helping customers implement concrete projects. The spectrum includes solutions and consulting services for improving the efficiency and differentiation of all aspects of an airline as well as for optimizing the entire travel chain for passengers. Azul Linhas Aéreas (Azul) is the first American customer for BoardConnect Portable, EL AL has opted for the portable version in addition to BoardConnect Classic, and the installation of the connectivity solution for Austrian Airlines, Eurowings and Lufthansa is progressing. BoardConnect Portable has also been successfully implemented for Air Dolomiti. This wireless in-flight entertainment (IFE) solution from Lufthansa Systems will soon be in use on more than 300 aircraft worldwide. The corresponding app has been downloaded over 5 million times. 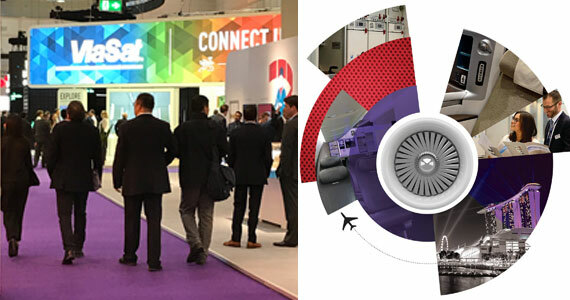 Lufthansa Systems is therefore heading into the Aircraft Interiors Expo (AIX) in Hamburg this week (April 4–6) with a series of success stories as well as numerous new features to present for its BoardConnect and mCabin product suites. London, UK and Orange County, CA | April 3, 2017– Spafax, publisher of Airline Passenger Experience Association (APEX) Media, is pleased to announce that Maryann Simson has been named as Director, APEX Media. In her role, Maryann will oversee the award-winning editorial team responsible for APEX Experience Magazine and its multi-channel platform. Most recently, Maryann served as Director of Commercial Partnerships at noted industry outlet Runway Girl Network, where she created several highly visible integrated media campaigns. Prior to Runway Girl, Maryann was the Managing Editor at PAX International in Toronto. In addition, Maryann has worked as an expert freelance journalist in the Passenger Experience industry. Maryann will be based in Spafax’s London Office, starting April 24, 2017. Caroline Ku, who most recently served as Acting Editor, has been promoted to Managing Editor and will provide additional leadership for the APEX Media team in Montreal. Launch of the new Amazon Alexa Skill from Spafax marks an IFE industry first. London, UK | April 4, 2017–Global content, entertainment and media agency Spafax announced today its new Spafax Profile Skill for Alexa, Amazon’s revolutionary voice-activated personal assistant. This fun, interactive service will be the latest addition to Spafax’s successful Profile entertainment personalisation platform. Set to debut at the Aircraft Interiors Expo in Hamburg, the Spafax Profile Skill combines Spafax’s proprietary entertainment technology and Amazon’s open APIs to create a dynamic voice-activated personal assistant with complete knowledge of an airline’s entertainment offering. Passengers will be able to ask Alexa about what movies, television shows and music will be available on their upcoming flight, get detailed information about individual programs and more. “We believe conversational technology represents a powerful tool to reimagine the customer experience and we’re thrilled to offer our clients this new and exciting way to engage with their passengers,” said Tony Taverner, Chief Technical Officer, Spafax. Hollywood, CA | May 10, 2016– Paramount Pictures has selected The Hub, Spafax’s state-of-the-art facility located in the heart of Hollywood, as its exclusive non-theatrical post-production lab. The Hub will provide a full array of technical services, including editing, subtitling, closed-captioning and encoding of feature films for non-theatrical exhibition. The Hub is located at the historic Sunset-Gower Studios in Hollywood and currently delivers over 15,000 audio and video files each month. Equipped with a fully automated and digital workflow from file release to delivery, The Hub offers flawless content delivery to any platform, including embedded and wireless in-flight entertainment systems, streaming and mobile. Frankfurt, Germany | March 3, 2016– The Lufthansa Group, along with global content and media agency Spafax have launched an innovative new entertainment personalization platform. Using technology developed by Spafax, http://lh.com/mediaworld-en will provide Lufthansa passengers with a wealth of information about the programming on upcoming flights via a highly interactive experience. The new site features a full listing of all movies, television programs, music and games onboard, and the site’s design allows for easy navigation of content, equal to what passengers would find on leading entertainment portals. Visitors can view trailers of films, as well as access an electronic program guide to learn which sporting events will be available via Lufthansa’s live television feed Sport24 (on all Intercontinental flights). Dedicated feature articles provide background on Lufthansa’s unique approach to entertainment, and children’s content is given a special focus for those passengers traveling with their families. Future releases of the site will feature additional exciting features, including the ability to personalize content recommendations based on passenger preferences. The site is based on Spafax’s PROFILE platform, part of the company’s ICON family of digital products, designed to help airline clients take full advantage of new personal technology to provide an immersive entertainment experience that is not limited by the need for new hardware. APEX EXPO, Portland, Oregon | September 29, 2015– Global content and media agency Spafax will be unveiling ICON this week at the Airline Passenger Experience Association Annual EXPO in Portland. ICON is a newly-designed family of digital products meant to create personal, effortless entertainment experiences for airline customers everywhere. PROFILE is an entertainment personalization platform that utilizes a custom algorithm to deliver wide-range of entertainment recommendations for customers and build excitement pre-flight. PROFILE will also track the most popular shows across different routes, cities and countries to create passenger-generated recommendations, taking full advantage of a full suite of social media integration tools to make the IFE experience more contemporary and collaborative. Moreover, PROFILE provides increased revenue opportunities with its ability to feature pre-roll advertising, takeovers and other media possibilities. Leading international airline and long-time Spafax client, Lufthansa, will be the launch customer for PROFILE, with an expected debut in early 2016. PROFILE will compliment Spafax’s existing IFE programming and delivery services for the entire Lufthansa Group. The second ICON debut product, VOYAGE, is an exciting collaboration with Piksel, a global leader in the online video business. VOYAGE is a lightweight downloadable IFE app that requires no onboard hardware and enables airlines to go to market with an IFE solution in just three months. Demonstrations of the ICON product family will be available at the Spafax Booth, #1819, this week at the APEX EXPO. Interested parties should contact Dougal Blennerhasset at +44 79 9008 9455 for an appointment. London | August 18, 2015– Global content and media agency Spafax is pleased to announce that its Hollywood-based post production lab ‘The Hub’ has partnered with 3D audio provider Dysonics to offer 3D audio encoding as part of an exclusive deal for the travel industry. As part of their technical offering, the Dysonics 3D audio encoding technology offers an immersive 360 degree surround sound experience. Expanding on The Hub’s impressive technical offerings, this new technology will add to the overall in-flight entertainment experience by adding surround sound to headphones. “VAA is delighted to be able to showcase this exciting new technology onboard all our aircrafts, enabling our customers to further immerse themselves in the great entertainment on offer,” said Cathy Walters, Senior Manager Onboard Media, Virgin Atlantic. Spafax is encoding in-flight content on Virgin Atlantic in order to create a 3D sound experience through headphones that accurately reproduce the effect of being surrounded by speakers. Using any pair of headphones, travelers can hear sounds moving from side to side, from front to back and up and down – and feel like the action is happening all around them. Under the new deal between The Hub and Dysonics, the leading technology offering will have its Virgin Atlantic launch in August with two films: Fast and Furious 7 (Universal) and Bessie (HBO). Itasca, IL | March 4, 2015– Gogo Inc. (NASDAQ: GOGO), a leading global aero communications service provider and the world leader in wireless in-flight entertainment, will partner with Spafax to support the management and development of content for Gogo’s wireless in-flight entertainment product – Gogo Vision. Spafax is a global leader when it comes to the management and curation of content for the aero market and currently has partnerships with more than 50 airlines. Gogo Vision is currently installed on more than 1700 commercial aircraft on six major airlines and a growing number of business aircraft. Spafax currently works with hundreds of original content providers, including all major Hollywood and international studios. In addition to content procurement, Spafax’s world-class operations team will provide assistance to streamline the content delivery and integration process, further increasing speed and reliability for Gogo’s airline clients. Amsterdam | February 11, 2015–Global content and media agency Spafax further expands operations in Europe with the opening of a new Amsterdam office and appointment of Joost Vosmer as Media Sales Manager. Spafax The Netherlands is located at Karperstraat 10 in Amsterdam, and marks Spafax’s 15th office globally and fourth in Europe. Spafax won the KLM Royal Dutch Airlines IFE Media Sales business in September, which marked the beginning of Spafax’s relationship with the leading premium airline. Joost Vosmer is the local lead contact in Amsterdam, and is positioned to support all aspects of the KLM Media Sales business. Joost’s appointment allows Spafax to have a stronger product offering for advertisers in The Netherlands. Joost brings 14 years of business and sales management experience to Spafax, working across traditional, digital, and mobile advertising channels. New York, NY | September 8, 2014– JetBlue Airways (NASDAQ: JBLU), New York’s Hometown Airline™, is partnering with content provider Spafax to manage its in-flight entertainment (IFE) and Fly-Fi content offerings. Following JetBlue’s launch of Fly-Fi, its industry leading high speed onboard Wi-Fi product in late 2013, and the launch of its enhanced all new seat back live TV 4 product offering over 100 channels of free live DirecTV™ and over 100 channels of free SiriusXM™ radio in spring 2014, the airline today signed an agreement with Spafax, a leader in the creation of branded content, specialized inflight entertainment management and custom publishing. Spafax will leverage its global industry connections and expertise to bring JetBlue’s customers the very best in entertainment selections. From premium to independent selections, Spafax’s extensive suite of digital entertainment offerings will compliment JetBlue’s industry leading in-flight entertainment and connectivity systems. The brand-new Live TV 4 platform that is currently available on the airline’s Airbus A321 fleet, and will be rolled out across the entire fleet starting early next year, offers customers more than 100 channels of DirecTV® programming, 100+ channels of SiriusXM® radio and eight movies. Movies range from current Hollywood blockbusters to smaller independent films, as well as multi-language solutions for Spanish-speaking customers. By early 2015, all Live TV 4 platforms on JetBlue aircraft will be touch screens. “The new partnership with Spafax will help JetBlue offer our customers the best and broadest selection of entertainment onboard, and our new IFE selection and Fly-Fi portal will provide an endless choice of options, no matter what you like,” said Jamie Perry, JetBlue’s director product development. JetBlue is New York’s Hometown Airline, and a leading carrier in Boston, Fort Lauderdale/Hollywood, Los Angeles (Long Beach), Orlando, and San Juan. JetBlue carries more than 30 million customers a year to 86 cities in the U.S., Caribbean, and Latin America with an average of 850 daily flights. Flights to Curaçao will launch on December 2, 2014; subject to receipt of government approval. With JetBlue, all seats are assigned, all fares are one-way, an overnight stay is never required and the first checked bag is free (subject to weight and size limits and exceptions for itineraries including flights marketed or operated by other airlines). For more information please visit JetBlue.com. JetBlue’s Fly-Fi product provides real broadband internet in the sky at speeds of 12Mbps-20Mbps per customer. Fly-Fi is currently available on over 60 aircrafts, and will be fully installed by 2015. JetBlue’s LiveTV 4 platform on its A321 fleet features 100 channels of DirecTV® programming, 100+ channels of SiriusXM® radio and eight movies. The LiveTV2e system offers 36 channels of DirecTV® programming, 100+ channels of SiriusXM® radio and six movies. London | July 21, 2014– Global content and media agency Spafax has appointed Andy Beer to Vice President Technical Services. Beer joins Spafax in this new role in the company’s Orange County office, bringing more than 10 years of experience in the IFE industry. He is also a member of the APEX Technical Committee, and will continue his place as a Spafax representative. Beer was previously Vice President of Technology for Inflight Productions. He started his career in the music industry, as technical manager at Master Rock Studios and Phoenix Sound Ltd in London. Spafax’s technical services team of 25 in Orange County, California is the production and fulfillment hub for our worldwide inflight entertainment (IFE) business. Spafax currently works with over 25 major airline clients to program, license and deliver their IFE content. London | July 17, 2014– Global content and media agency Spafax has extended its service offering through a new contract with leading airline Virgin Atlantic. Virgin Atlantic selected Spafax to handle all technical services for their inflight entertainment system, Vera. As part of this role, Spafax will provide integration test and release, encoding plus timeline and metadata management. “Our inflight entertainment is a key differentiator and plays a vital role in the overall Virgin Atlantic customer experience. We know that we can rely on Spafax to provide a reliable service and have selected them for their proactive approach towards streamlining services, creating efficiencies and providing a cost effective service. The Spafax team provide an extremely high level of technical expertise and we look forward to a mutually beneficial long term partnership,” says Reuben Arnold, Brand and Customer Engagement Director at Virgin Atlantic. Integration test and release is a specialty in the IFE sector and Spafax is proud to now offer this service to its clients. The Technical Services work will be supported by a new team in London and Spafax’s Orange County, California office, the production and fulfillment hub for our worldwide inflight entertainment (IFE) business. Spafax currently works with over 25 major airline clients to program, license and deliver their IFE content. This news follows the recent announcement of the summer launch of Spafax-published ruby magazine on Virgin Atlantic’s Little Red UK domestic flights. London, UK | February 20, 2013– Global content agency Spafax has signed a long-term agreement with Scandinavia’s leading airline SAS to continue to provide video entertainment and for new audio, publishing and production services. Spafax will continue to provide early-release Hollywood and Scandinavian films and award-winning TV dramas, documentaries, children’s TV, sports and current affairs programmes. Chinese and Japanese films will be aired on flights to and from Asia. – Branded content marketing promos. “Spafax continues to be our supplier of choice. They have the expertise and knowledge of our passengers, who are discerning and sophisticated, and know what they do and don’t want from their in-flight entertainment experience. May 22, 2012– Sam Still has been appointed to the position of Director, Business Planning, based in the Spafax London office. Sam joins the new business team, in which she will play a key role in planning the implementation and delivery of new products and services, in both the core IFE business and in the fast growing digital business areas that Spafax is delivering for new and existing clients. Sue Pinfold, Executive Vice President of IFE for Spafax says that “I am really delighted to welcome aboard someone with Sam’s wealth of experience and knowledge across so many key areas of the business. At this exciting time in Spafax’s continued growth and development, she will make a great addition to our new business team”. Before joining Spafax, Sam spent 17 years at Inflight Productions, where she worked as International Licensing Manager and before that in a range of account management positions. This included a number of years as Account Director for Air New Zealand. Her responsibilities ranged from the development of content licensing strategies to the management of key client service and programming activities, for clients as varied as American Airlines, Cathay Pacific and Qatar Airways. Also joining Spafax in London is Dan McInerney, where he recently took up the post of Software Development Manager. Dan was also previously at Inflight Productions, where he spent 12 years leading the team that developed and implemented tools for the efficient online administration of IFE operational procedures and metadata management. He will now be working with the Spafax software team to support the continued enhancement of Spafax’s existing IFE management products and the rollout of even more features to support the integration of future system developments. Tony Taverner, Group Technical Director and himself a recent addition to the Spafax leadership team, welcomes Dan to the group, commenting that “Dan’s highly specialised understanding of the inner workings of the IFE business will be a great asset to all of us at Spafax and of course to our clients”. London, UK | April 1, 2012– Spafax is pleased to announce the appointment of Joan Barker, as Group Business Development Director, effective immediately. Joan will be working with the Spafax IFE Management Team on new business development opportunities, as well as leading select initiatives outside the IFE sector. For many years Joan led Sales & Marketing at Inflight Productions (IFP), forming a crucial part of IFP’s executive management. At IFP, Joan led key client relationships with a number of global airlines, spearheaded the growth of their movie division and launched several new initiatives. After a year away from the inflight entertainment business, Joan returns to the industry refreshed for a role which will utilize her strengths across Spafax’s wide array of services. October 26, 2011 — Spafax has been selected to provide inflight entertainment content services for China Airlines. Under the multi-year agreement Spafax will develop the creative strategy and manage selections for all Hollywood movies, which comprise the core of China Airlines’ IFE offering. The agreement includes full operational support and technical services, including encoding of Hollywood movies, AVOD management, duplication, quality control and fulfillment. “We feel honoured to continue our strong partnership and friendly working relationship with Spafax”, states Lucy Lu, Assistant IFE Manager at China Airlines. “With your experience and expertise, we are excited and looking forward to more creative and enriched IFE content onboard our aircraft”. China Airlines and Spafax have a long and successful history of working together, having recently completed a major content expansion and achieving multiple finalist places at this year’s APEX Passenger Choice Awards. “We are delighted and very proud to continue our 12-year relationship with China Airlines, and look forward on building on our many achievements in the years to come” says Geraldine Lee, Spafax Regional Director for Asia-Pacific.